Proper handwashing is essential to good hygiene. This is especially true when it comes to portable restrooms. But as you may know, not all restroom rentals are created equal. For those lacking sinks, hand sanitizer dispensers can be the perfect solution. 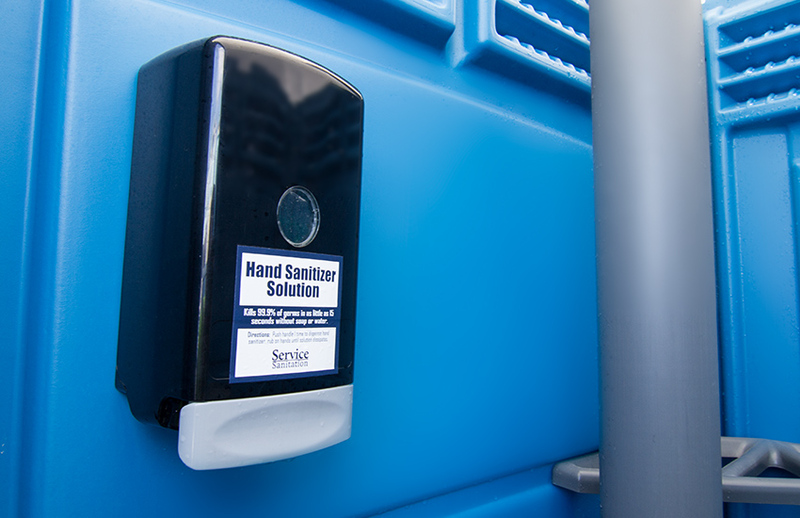 Mounted within the interior of the restroom, hand sanitizer dispensers will have your guests feeling more confident in the facilities you’ve graciously provided. In fact, research shows that hand sanitizer solution can be more effective in preventing the spread of germs than traditional soap and water. This powerful cleaning agent improves the porta potty experience, and keeps patrons healthy in the process. Get on the road to wellness by adding hand sanitizer to your next rental and contacting us at 800.909.5646.